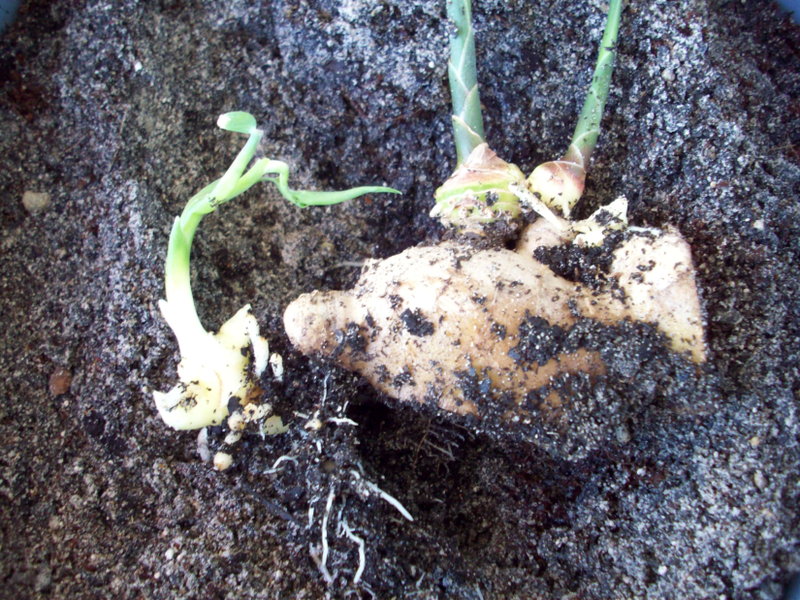 The Tumeric & Ginger that I began to grow about 3 months ago were doing so well I had to re-pot them. 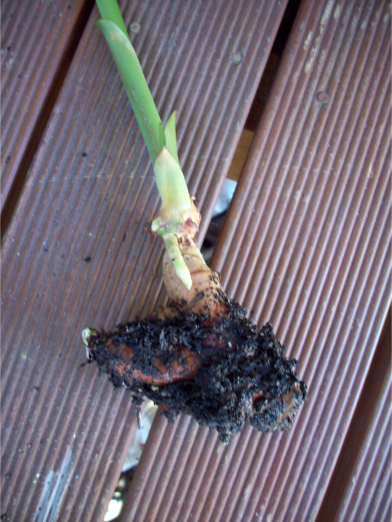 I was surprised to find that the ginger rhizome had swollen considerably and had become almost green again as opposed to shriveling away. Same as for the Tumeric which is growing much faster. Both are in black pots now with richer soil and kept on the deck where they are sheltered and receive indirect warmth and light from the sun for the majority of the day.